We posted a map [right] this afternoon of all of the magnitude 3.0 and larger aftershocks from the June 28 magnitude 5.2 Duncan earthquake [shown in red]. Five of the 13 events have occurred in roughly the last 24 hours. The seismic stations used to record the aftershocks are far enough away that there may be significant errors in their initial locations. 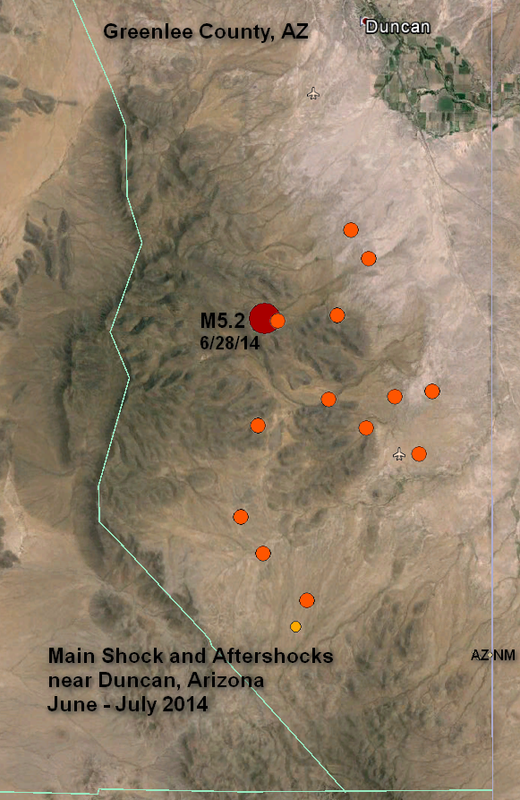 The five portable stations deployed by AZGS in the past few days should give us more detailed subsurface velocity information so we can recalculate these events and more accurately determine their locations.